Remember the 60MB daily free browsing cheat we enjoyed on Etisalat for almost a year? 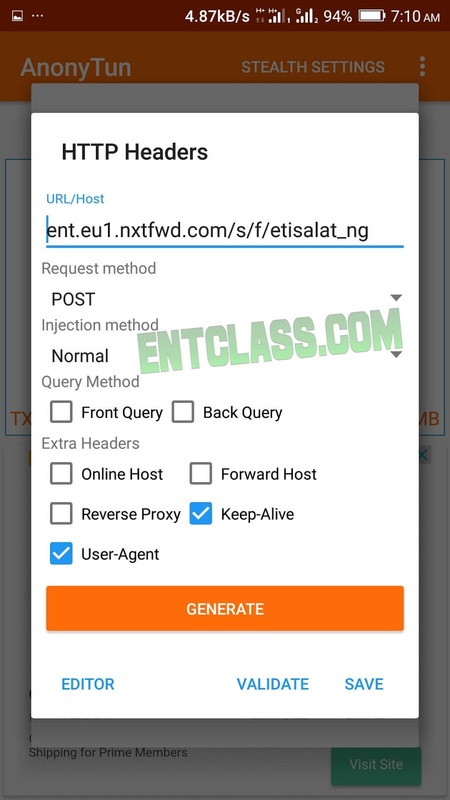 Which later got blocked after switching to 9mobile; the good news now is that, the cheat has been resurrected with a new proxy server. I got this cheat late last night and decided to test it if it's really blazing. Oh yeah! It's working perfectly fine and considering the fact that 9mobile is one of the best telco with good data network nationwide. So there's nothing like frequent disconnections or whatsoever. It's very stable and fast. 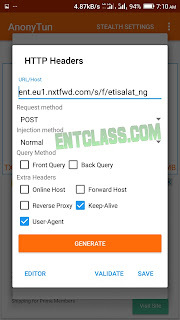 I will likely call this 9mobile 60MB Free browsing cheat (REBIRTH). Sounds good right? Let's continue with the settings. Though 60MB daily might look so small to you but I can tell you that there are thousands of people who uses this on a daily basis to chat with friends, send mails and browse some few sites. It has helped so many students and youths at large. We will be making use of AnonyTun VPN (the official version). >> It has no speed limit nor throttling. >> And when it does connect, minimize it and launch your Browser and start browsing for free. Remember it's limited to about 60MB daily. I know it's very small, but just manage it pending the time Unlimited free browsing cheat will surface again. As you can see in the last screenshot, i disabled Advert pop ups which makes the vpn app so slow and annoying. I have written a comprehensive guide to disable Ads on any Android app - SEE HERE. Disabling Ads on this vpn isn't cool because that's how we pay the developer for making the vpn free for us. Only do this if it's necessary. Wow, I am happy with this development, God bless all of you who have worked tirelessly to bring this tweak up again. Thanks but 60mb no fit do some ofof us in 20mins sef. Thanks when I try to remove the ads on annoy tun , it'll not browse again . It's working fine. Maybe you are missing something. I'm even using it to reply you now. Thanks for sharing this, I heard it was working before but now I don't think it is working again. It's working. Try again and see. Admin pls how cn we used more than 60mb daily? For now, there's no way to use more than 60mb daily. We hope to see a way outta this. Glo 0.0 has been blocked. It has stopped working finally. Kachi, is this 9mobile 60mb cheat still working?